Holmsley Caravan Park and Campsite is the ideal camping experience in this National Park for all the family to enjoy, whether you are caravanning or pitching your tent. Camping on this mainly grassy site means lots of space for children to play. This is the ideal site for safe cycling with all the family and lots of long walks too. It used to be a WW2 Airfield so the aircraft hardstandings have been used to provide you with nice firm campsite roads and parking areas. Open 11 April 2019 to 4 November 2019 - 600 pitches for tents, caravans and motorhomes suitable for a family holiday. Dog friendly, disabled access, seasonal pitches and Ranger Activities. Find out more. Bike Packing Special Event. Ring site T: 01425 674502 Please check if on for this year? Ready to Book and find out more? 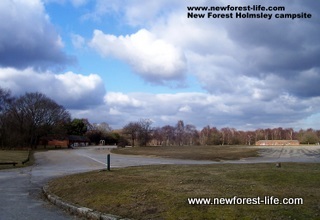 Holmsley Caravan Park, like many others was once a WW11 airfield. You can still see evidence of this and it means that it is an ideal place for long, flat walks and safe cycles for all the family. The flatness also means that it is wheelchair friendly too! 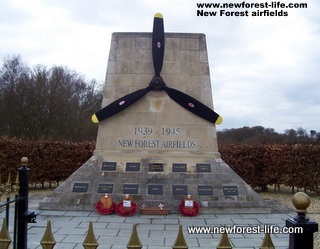 Find out about WW2 and the Holmsley Airfield on my New Forest Airfields page and lots of other fascinating history for the area during wartime. 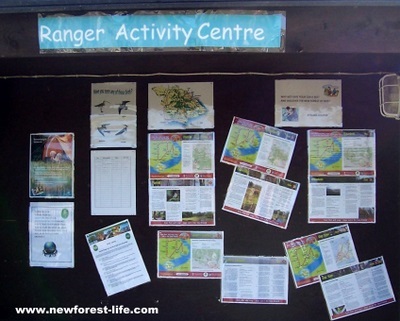 You'll need an OS Explorer 22 Map to find all the unmissable bits of the beautiful New Forest! I hope you enjoy your stay at Holmsley Caravan Park and Campsite and that you find lots to discover and explore in the New Forest National Park too.